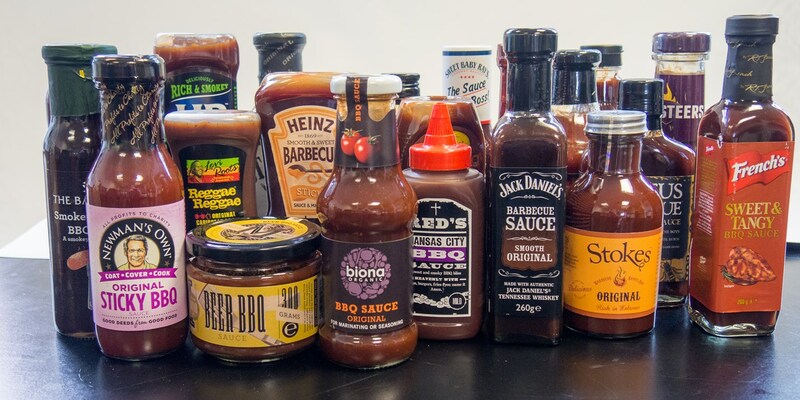 We worked our way through over twenty bottles of barbecue sauce available in the supermarkets and whittled it down to our five favourites. Sweet, smoky, tangy – a good barbecue sauce can make all the difference when dolloped on burgers or spread over sausages. Even if it’s pouring with rain outside and your dreams of cooking over fire have gone down the drain, the best sauces will add all the smokiness you need to baked or fried foods. But a bad one can overpower the taste of carefully cooked meat and cover it in a thick, sugary coating of industrially-flavoured gloop. We don’t want this to happen to you, so we’ve trawled the supermarkets, bought every barbecue sauce in sight and put them through a blind taste test. It produced some pretty surprising results, with flavours varying from the wonderfully balanced to the downright weird. Here are our top five. 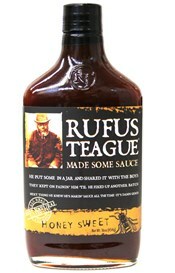 While a little research into the history of this sauce found Rufus Teague didn’t actually exist (he is, in fact, the product of some savvy marketeers), this was by far the tasting panel’s favourite of the lot. With a decent punch of umami from the anchovy paste (sorry vegetarians) the honey wasn’t oversweet, and the unusual addition of raisin paste gave it a deep, date-like depth. Everything you want in a good barbecue sauce – smoke, salt, tang, sugar, spice – could be tasted individually, and all the elements came together in a beautiful cacophony of Kansas City flavour. It was also the priciest bottle on the table, which certainly suggests that in the world of barbecue sauces, you get what you pay for. Unheard of in the UK until a few years ago, Sweet Baby Ray's (named after one of the sauce’s creators) is now an incredibly popular choice among people looking to bring a flavour of American barbecue into their British homes. The sauce itself was described as ‘refined, smooth and very nicely balanced’ by our tasting panel, and was particularly popular with the sweet-toothed judges thanks to the inclusion of pineapple juice. Mustard seeds gave it a nice little kick of heat, and the smokiness wasn’t too overpowering. It was a bit of a surprise when this bottle placed third in our taste test – we had so many bottles made by 'artisanal' producers we assumed something like Heinz would be relegated to the back of the list. However, it just goes to show that there’s a reason the company has been in business for 150 years – they know how to tickle our taste buds. Everyone on the panel agreed it was the best all-rounder, and would please everyone at a party thanks to its balanced flavour. It wasn’t too smoky, too hot, too spiced or too sweet and had a nice authentically woody taste from the smoke. 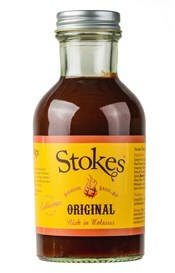 The best of the British barbecue sauces, Stokes’ offering included ingredients such as rapeseed oil, black treacle and cane molasses, with a nice thick jam-like texture and natural smoked wood aroma. It certainly stood out from all the others thanks to its unique flavour, which was particularly fruity, and would make an excellent marinade or rub for a larger, slow-cooked piece of meat. Another British offering, The Bay Tree’s sauce had the lowest number of ingredients out of the top five, which reinforced its homemade, small-batch credentials. The smoky flavour comes naturally from the chipotle chilli pepper, but what really sets it apart from the others is the addition of soy sauce, balsamic vinegar and ginger, which gives it an Asian twist reminiscent of Chinese barbecue. It would make a fantastic marinade for pork, and is possibly better suited to cooking with than straight-up dipping, but the sauce itself is delicious and full of big, bold flavours.